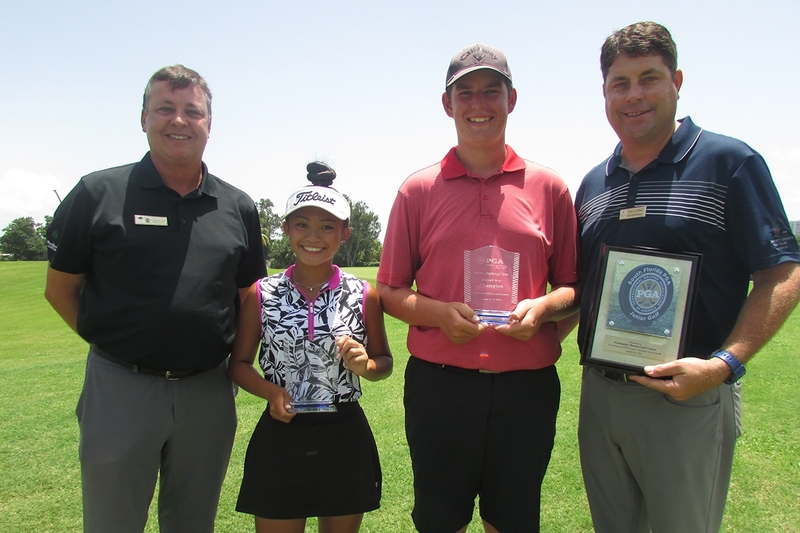 August 9th 2018 - ATLANTIS, Fla. – This week, the South Florida PGA Junior Challenge Tour presented by The Honda Classic held Challenge Tour Event #8 at Normandy Shores Golf Club in Miami Beach, FL. Juniors faced two brutally hot days in the beautiful Miami Beach. David Miller of Davie, FL had a breakout week. Miller, who had two victories on the Prep Tour in 2017, managed to capture his first Challenge Tour victory this week. Miller opened round one with a 1-under par 70 to take the round one lead in the boys’ division. Miller finished with a final round 74 to capture the boys’ overall title by one stroke. Jackson Langer of Coral Gables, FL took home the boys’ 13-15 age division, while Kody Finn of Parkland, FL, who fired a final round 68, took home the boys’ 16-18 age division. Victor Herrera captured the boys’ 11-12 age division after rounds of 74-71. Erin Marcelino of Plantation, FL captured her first Challenge Tour victory this week. Marcelino fired an opening round 80 to find herself two strokes off the lead. Marcelino fired a final round 72 to capture the girls’ overall title by one stroke. Daria Korovina of Pompano Beach, FL took home the girls’ 13-15 age division, while Makenna Brown of Boca Raton, FL took home the girls’ 16-18 age division. Sara Davey of Fort Lauderdale, FL took home the girls’ 11-12 age division.